Cloud computing is changing the very fabric of the digital universe. By shifting the processing power of applications from localized computers to a global network of connected facilities, cloud computing has created a platform that can literally deliver any type of service, anywhere in the world. From apps for hailing taxis during rush hour to performance sensitive enterprise voice services and super sophisticated Big Data analytic software in the search for alien life, computing can pretty much deliver anything imaginable to end users. The world has changed. There are now close to 1 billion users on Facebook. YouTube streams some 6 billion videos to about 1 billion visitors. The same is happening on the enterprise front, albeit at a more cautious pace. According to one recent study, (http://www.rightscale.com/blog/cloud-industry-insights/cloud-computing-trends-2014-state-cloud-survey), more than 9 in ten organisations surveyed were running applications on clouds or experimenting with a cloud operating model. Another 87% confirmed they were using public cloud services, while more than half (58%) of respondents said they were using both public and private clouds. Cloud computing means applications and services are increasingly dependent on the global network to get to end-users. Whether it is a consumer downloading a photo over a 4G LTE network, or a corporate user logging in a sales order over the corporate LAN and WAN, the network is now the key element for delivering the content and the application to the user, at the right performance levels, and at the right price. But as cloud computing becomes more prevalent, the network that supports it, or cloud networking, becomes ever more complex. The network must now undergo a profound transformation, from a static entity, to a dynamic, intelligent, application-awared fabric that can support multiple traffic requirements, diverse geographies, and flexible pricing models. 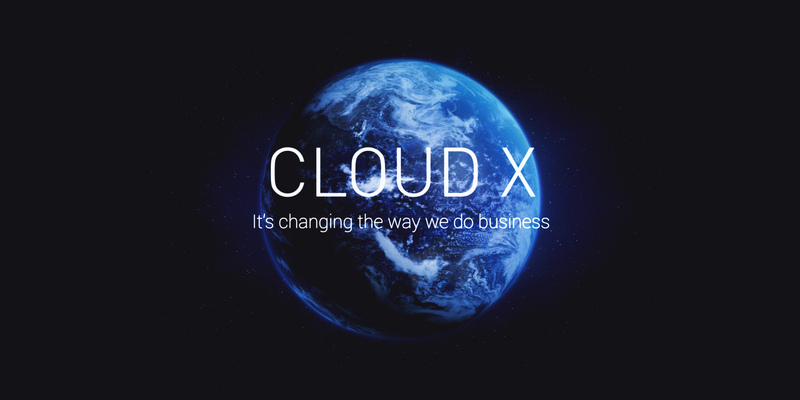 This is precisely the evolutionary leap that Global Cloud Xchange has embarked on for the better part of this year, including its name change from its previous brand Reliance Globalcom. That effort has resulted in the launch of a new global cloud network platform designed specifically to enable cloud content and applications distribution. “We believe we will be one of the most disruptive companies in the next five years because we will become the fabric that enables the global cloud,” Barney said. “Our new infrastructure will accelerate cloud traffic across the world, facilitate global content and application distribution, enable enhanced customer experience, and transform the way people think about rolling out applications and services. GCX’s new platform consists primarily of two key components – a global integrated network, which in turn supports “cloud nodes” that serve up cloud services under a unified orchestration layer. First GCX aims to build a global network platform that can support different traffic types and transport requirements. Here GCX is not starting from scratch. In fact, it is a journey that began when parent company Reliance Communications (RCOM), one of India’s largest telcos, purchased FLAG telecom, the world’s widest-reaching submarine cable infrastructure , back in 2006. Subsequently, RCOM added a premier Ethernet network operator, Yipes, and one of the leading managed network services providers in the world, Vanco, to its telecoms portfolio. Those three acquisitions gave what is now GCX an asset and knowledge base across the key transport and service layers of the network – FLAG’s subsea cable as the underlying Layer 1 infrastructure, Yipes’ Ethernet expertise in Layer 2 transport, and Vanco’s experience in building complex Layer 3 IP and MPLS service networks. “One of the key endeavors at GCX over the past year has been the unification of those assets into a coherent platform that we can provisioning and control from a single source,” said Wilfred Kwan, Chief Technology Officier at GCX. “This was part of a strategic realignment of our capabilities to support cloud networking requirements, including self provisioning of network resources and bandwidth-on-demand. Today, GCX’s infrastructure, including subsea cables and MPLS/IP network crisscross the majority of the world’s continents. To complete its circle around the world, GCX recently announced Pacific Cloud Xchange (PCX), a planned cable system that will stretch from the US West Coast to Japan. Meanwhile, GCX’s network assets, including cable landing stations, data centers and Point-of-Presence (PoP) sites already covers all major regions, particularly around the ‘Emerging Markets Corridor’ spanning key markets across Asia and the Middle East. Turning some of the company’s facilities into “cloud nodes,” and putting in an automated orchestration layer on top, is the second component to the company’s strategy. Since the launch of Cloud X, fully-operational cloud nodes have been completed in Palo Alto (California), Hong Kong and London, with New York and Mumbai launching in January along with 20+ nodes on the deployment schedule for 2015. With these cloud nodes, GCX aims to sign up cloud computing service providers from a variety of backgrounds and geographies to create a diversified “on-net” cloud product portfolio that is delivered to enterprise customers from a self-service web portal developed by GCX. Within this type of environment, the self-service portal becomes a powerful tool to source and optimize management cloud services across GCX’s entire infrastructure. The cloud nodes are not only targeted at cloud providers, but also enterprises, Kwan continued. Taken as a whole, GCX’s strategy offers a pretty powerful proposition. First, it has the network reach to bridge the distance between cloud providers that are primarily based out of mature markets such as the US and Europe, with the large potential population and high economic growth of developing markets in Asia. Secondly, it has put in place a unified service orchestration layer with the potential to access multiple clouds and services. Our end goal is to bring everything ‘on-net.’ We want to be the operator that cloud providers go to when they want to launch their services. We want to be the network that enterprises go to when they look for high performance, secured cloud services,” Barney said. “At the end of the day, what makes the cloud so powerful is the network, but it has to be usable with a certain level of quality of experience, and that comes down to the ability of the network to deliver the performance required by cloud applications. That is what we are putting in place, a network that can bring all these elements ‘on-net,’ so we can deliver the experience for end-users that is going to make the cloud successful. Ensuring top quality of experience is further built into GCX’s core investment strategy. While the company intends to roll out cloud nodes across multiple regions, it simply cannot put them in all markets. To deliver contents and applications at a more granular level, GCX will also developed “country nodes,” basically scaled down versions of cloud nodes that will be distributed across a much wider geography. CX intends to put together a network of 100 of these distributed cloud nodes, each hosting dedicated infrastructure to support specific customer applications. When that becomes a reality, the door to innovation truly opens. When the limitation of distance is removed from the cloud equation, the possibility becomes limitless because the entire world becomes a huge distributed computer. Now just imagine the kind of applications you can run on that?